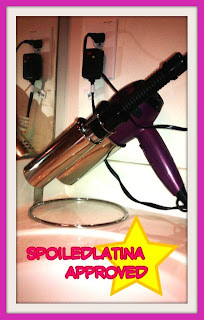 If you are like me and use a blow dryer, a straightening iron , than a curling iron to get you looking fabulous everyday, than you know how crazy your restroom area can get! Well lucky for us females, there is now a "Cool Care" Cool Care, is a holder either for counter top or for wall mount. It has 2 slots big enough for a blow dryer and a curling or straitening iron. I chose the Counter top version. It's best for when you have a lot of counter space. I am loving my Cool Care but I absolutely approve of this product!